My girls love crafts they always have, especially Harri she is so creative. She spends hours drawing and making, cutting and creating and it is actually lovely to watch. 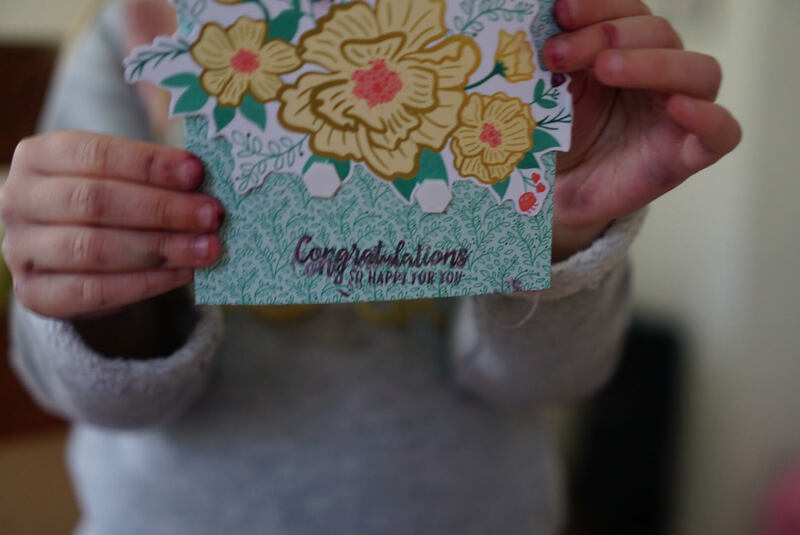 Last month we got the opportunity to review Stampin’ Up’s! brand new card kit so I knew it was perfect for my Harri. 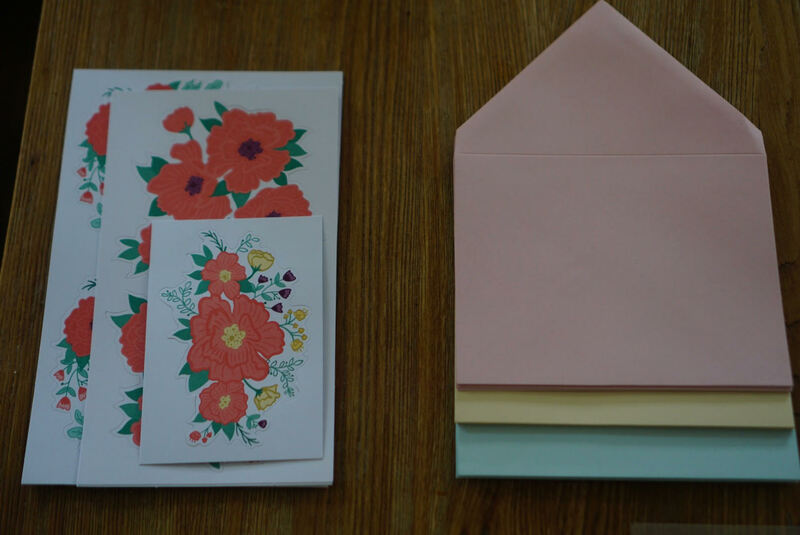 She is forever making cards and writing letter for friends – she loves to post them to members of our family which the cutest. I knew we would all have lots of fun with this kit. It was a beautiful set, all pastels and flowers just perfect for my girly girls. As soon as the pack was opened they got started straight away. Admittedly I was a bit confused on how to use the stamps but a quick check online and I learned that you attached the photopolymer stamps to the stamp block. It was great fun using these stamps and I am sure we will use them over and over. 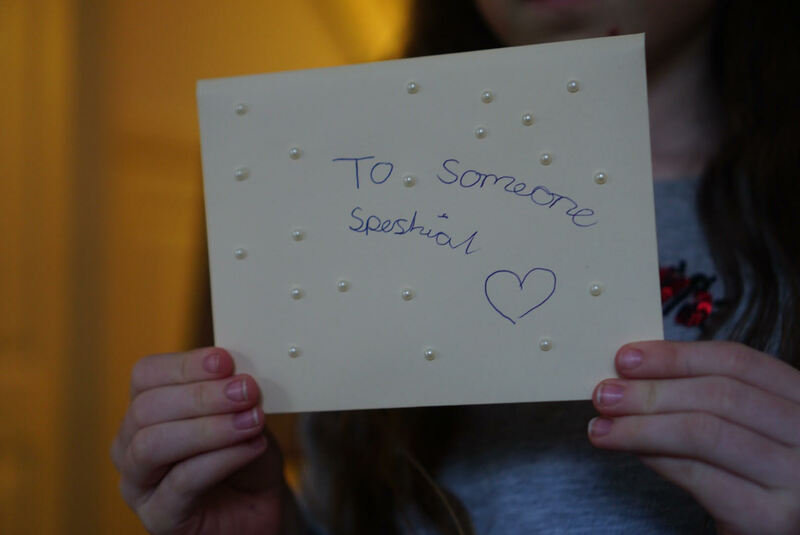 The girls made lots of cards and decorated them with the stamps and adhesive backed pearls. 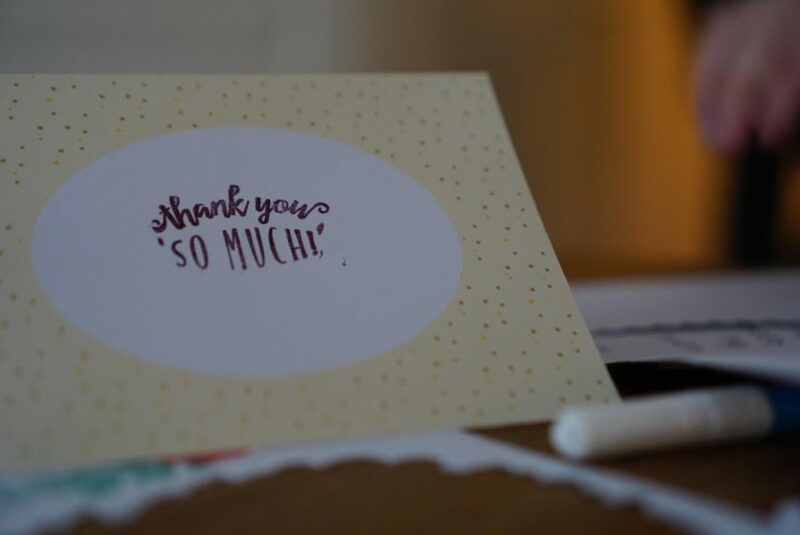 I love the idea of the girls thinking of who they want to send cards to with words of gratitude. With 12 cards in the pack it is a set that we can use a few times over, and every time my girls want to say thank you or congratulations, instead of buying cards they have been making them. And who doesn’t like a home made card? Ps – I found this envelope under my pillow from Meme with the sweetest words, something I will treasure. We was sent this set in exchange for a review. 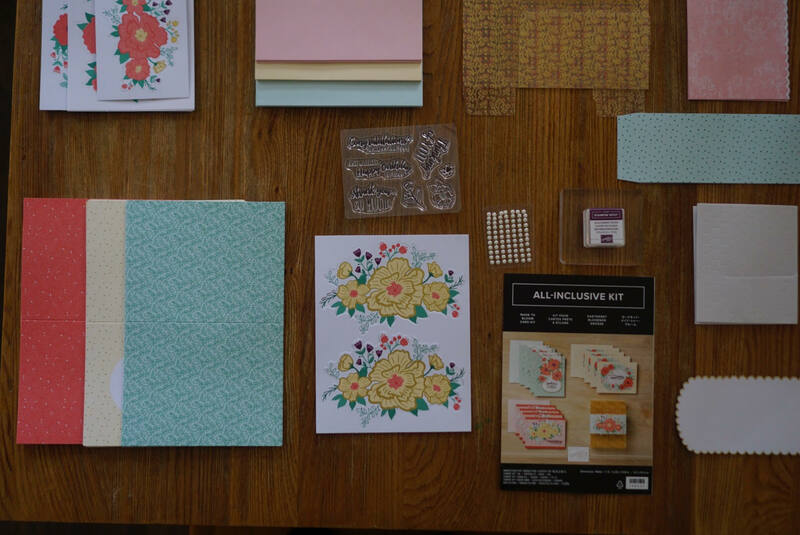 I love getting creative with paper and stationery. It’s so much fun to work with colorful prints. omg these stamps are super gorgeous really!!! Love the idea, very very creative. That is so cute! And I can not deny it’s absolutely adorable as well! Very well done! My coz know me as that aunt who gets down with paper, inks, crayons and markers. It’s always an interesting moment to see what these little can create. We will have to check out Stampin Up. I know we will love it. They all look so beautiful ! Looks like the girls are having a lot of fun ! Activities like these, helps build creativity in kids, thanks for sharing this great post with us. So pretty! I remember this company from when I was a kid and I loved scrapbooking. It’s so special to make and send custom cards. My mother in law makes hand made greeting cards. She would love this! Passing along! This is such a cute kit. I love creating card and add a colorful stamp in it. Wow! This is such a wonderful kit to have and create those amazing artwork. Hope to get one someday and create a stunning art with stamp in. Lovely ideas. And a lovely DIY I will say. I wish I could be so creative. I used to use Stampin’ Up for cards a lot. These look like some great products. Oh my gosh, my girls would love something like this too! Such a great gift idea. That is a really nice kit. I’m sure my son will love this. Receiving this will be the sweetest thing ever. This is a lovely idea my daughter loves making her own cards so this would go down a treat in our house! 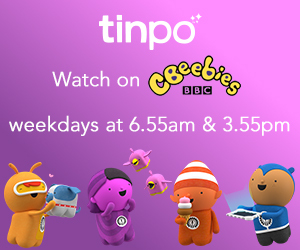 These look fab, I think my younger two would love this set. They are both big fans of crafting.